Earl McQuiston was born on June 8, 1922, in Rayne Township, Pennsylvania. He enlisted in the U.S. Army on September 21, 1942, and was trained as an infantryman and mortar operator. After completing training, Sgt McQuiston joined Company D, 317th Infantry Regiment, 80th Infantry Divsion, and deployed to England in July 1944. He landed with his unit at Utah Beach on August 3, 1944, and served in the campaigns of Northern France, Rhineland, Ardennes-Alsace, and Central Europe. After the war in Europe ended, Sgt McQuiston served on occupation duty until returning to the U.S. in October 1945. He received an honorable discharge from the U.S. Army on October 29, 1945. 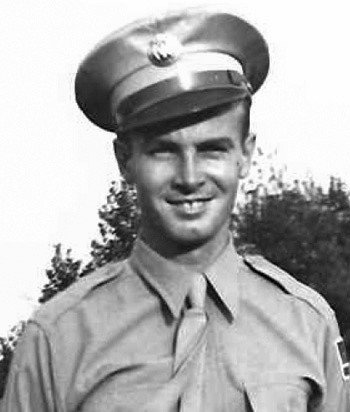 Staff Sergeant Earl D. McQuiston, 33253557, Company "D", 317th Infantry, 80th Infantry Division. 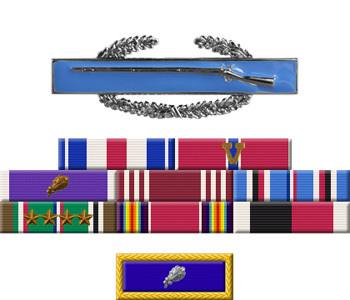 For heroic achievement in Germany on 13 March 1945, in connection with military operations against an enemy of the United States. At Ober Zerf, Germany, Staff Sergeant McQuiston observed a hostile observation post that was directing severe artillery fire on his comrades. Although outnumbered eight to one, he courageously charged the enemy and succeeded in capturing the position, thereby allowing his battalion to advance with no further casualties. Staff Sergeant McQuiston's initiative and aggressiveness exemplify the highest traditions of the armed forces of the United States.